Not too many in the village would recognize this scene. It is Long Pond on Rampton road where Schole Rd. joins from the right. 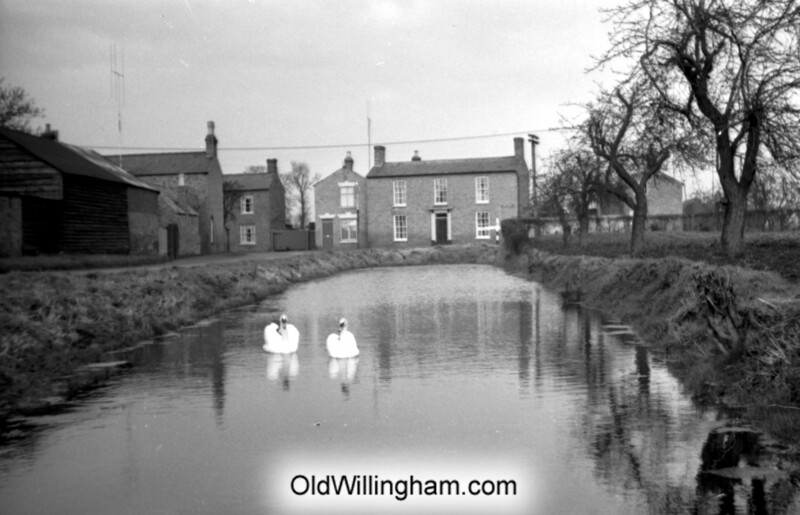 It was probably taken in the 1950s when the pond was kept very clear – a good runway for swans to take off! All the buildings at the end have been replaced now and the pond is much reduced and more “natural”. However, the barn and building on the left are all still there and have hardly changed at all.